Seems buying property on the eastern seaboard of Thailand is getting easier by the day now – You can even pay your deposit through PayPal. But one customer got alarmed having put down US$1000 for an off plan condo being built by a company called CW Asset. According to his records Paypal notified him that payment had been sent to Mr. Ian Silver someone he had never heard of before. Now it’s imperative that when buying property in Thailand (or anywhere for that matter) that the money trail goes to the seller of the property direct so in this case the customer wanted to know about the mystery man. He said he did not get an answer from CW Assets so he asked me to find out. But first bear in mind that if you search the internet under the name Ian Silver some nasty stuff is going to come bouncing back at you from Thailand’s eastern seaboard, like for instance this Ian Silver below..
A Mr. Ian Silver highlighted on Asia Trade Online turns out to be another Pattaya publisher. 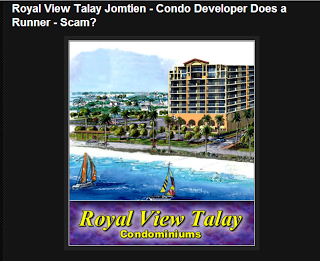 This American guy is reported to have disappeared with income from a condo project called ‘Royal View Talay’, which never got built allegedly running off with millions, so I can understand the clients’ concern. He was referred to as Richard Ian Silver. So I called CW Assets and got a guy who called himself Richard Richie and who said he was Canadian. 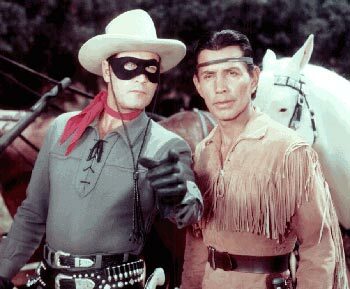 He did not appear to know anyone called Ian Silver. In that case why was CW Asset using Silver’s name on a PayPal of CW Asset. He said he knew nothing. I said I would put my question in writing which I did. Who is Ian Silver? Back came his boss, Imorn, in force the following day. If you search her name you can find she is a prolific writer in the property business. She has even written for the Pattaya Mail newspaper about her condo projects – although the newspaper did not always disclose she was writing about her own projects. Thank you for your inquiry. Happy to assist you. CW Asset Co., Ltd. is a 100% Thai company owned by the Luekhamharn family and I am the managing director. You may find our company papers, chanote and shareholder ID here. 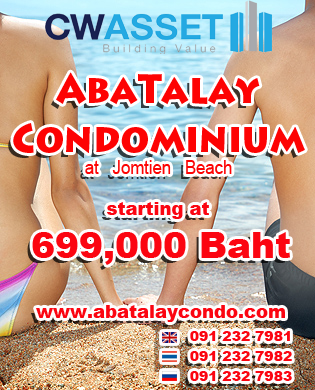 Our Bang Saray Beach Condo “A” is close to completion and we expect our buyers to be moving in this summer. 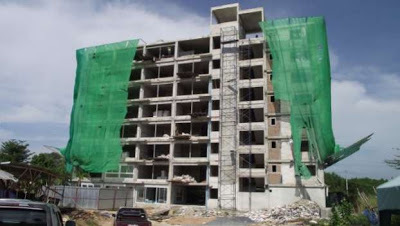 Construction of Bang Saray Beach Condo”B” has started with completion summer2014. of CW Asset Co or At Jomtien Co., Ltd..
We have NOT requested our buyers make payments to this person and would appreciate any information you can supply us with concerning this serious matter. We have received a similar inquiry from one of our buyers regarding this other paypal account. We have now discovered his motivation was buyer remorse*. He has request a refund to which we have agreed. the opportunity to review any documentation you have about this unofficial paypal account you are saying has received our buyer’s reservation payment. opportunity to examine what you have collected and then properly respond. From what we have heard you are a moral, ethical journalist with no intent to harm innocent parties. We appreciate the chance to investigate this matter fully and to cooperate with your request. Ms. Imorn Luekhamharn, Managing Director, CW Asset Co., Ltd”. buyers, staff and shareholders suffer? This is just one buyer asking who Ian Silver is and Imorn has never heard of (Richard) Ian Silver, right? And they have admitted receiving the payment. 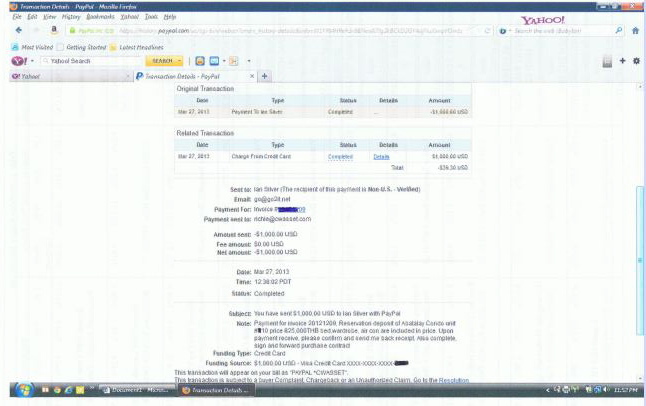 And Paypal appears to have notified the client that they have sent the cash to Mr. Ian Silver. It appears to be there in black and white from Paypal. After tossing and turning I got up in the middle of the night and sent them a copy of the Paypal receipt with Ian Silver’s name on it. “Thank you for your prompt reply. I will get back to your client. 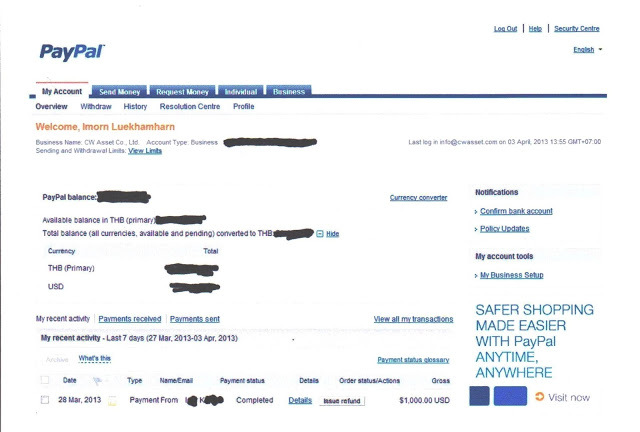 This appears to be the receipt he says he got after paying US$1000 through the Paypal link on your site pm March 27 2013. I hope there is confusion”. Thank you for your email. You seem to be burning the midnight oil, your email arrived at 2.21am? My mother used to say take care of your health, get a good night sleep, things may look different in the morning. I have attached a screen shot of our CW Asset Paypal account profile. 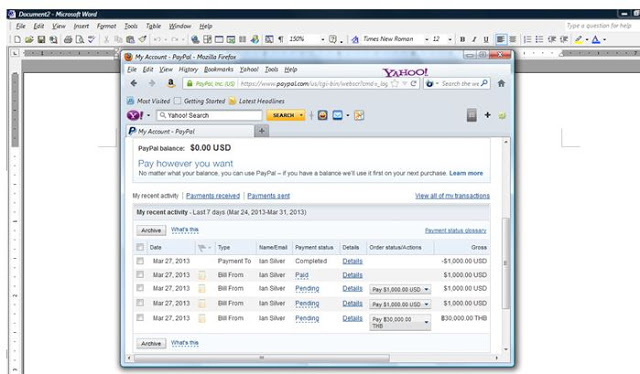 The same Paypal “pay now” buttons that are on our website online payment page. You can clearly see that what you have sent us could not have come from our CW Asset online payment page. Thank you so much for giving us the opportunity and time to respond. 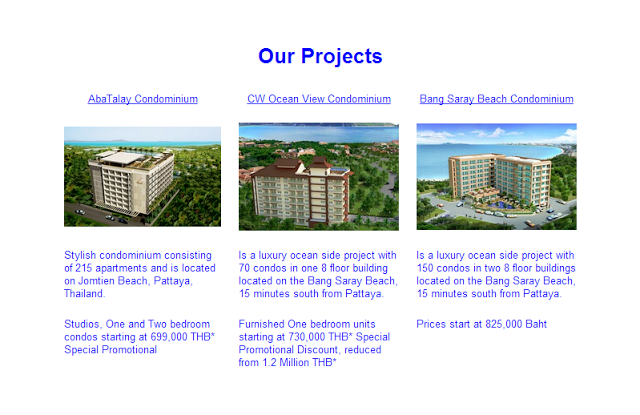 We are trying hard to make a name for CW Asset Co in Pattaya for selling andbuilding good quality affordable oceanside condominiums. If you visit our almost completed Bang Saray Beach Condominium you will see our buyers are getting more for our lowest Pattaya priced condos then they have paid. Most importantly it is being delivered on time. Now innocent lives are stake! But I had made one mistake the customer had not paid through the CW Asset site but direct through the PayPal site. But the receipt is still as clear as night and day. What is going on here? Attached is both the image you sent us and one forwarded to us by Mr. Drummond. his shows a screen shot of Firefox browser. Two different browser, two different computers, two different people accessing your paypal account? 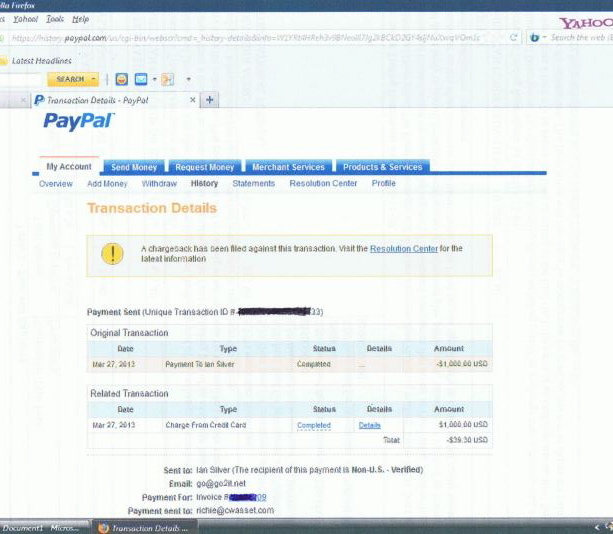 Has your paypal account been hacked and this all a fabrication? 100’s of people that have purchased condos from our company. We have received your bank details and your reservation deposit refund will be processed soon. has nothing to do with CW Asset Co.
condo buyers and investors, innocent parties who might be greatly damaged by what is written about CW Asset. Now its 200+ innocent parties and Andrew Drummond is apparently bringing down a company, which he is not, and Imorn does not understand that the client has a computer at home and a computer at work which have different browsers which are both picking up Ian Silver’s name after he checks into PayPal. Thai woman with a B.A in Marketing and just finishing my Masters degree in Education. I can see when something is not right and am not shy about expressing my self especially when it comes to CW Asset Co or my staff, customers and investors. they are related and that just is not true. You have not told us the customers name, nor sent us any proof but since we have had only one online charge recently, we know. We know him well after receiving dozens of erratic email’s to multiple staff members and agents. Some of our 100’s of satisfied customers come to our office and we run their credit card in person on our Kbank credit card machine. Only a very few use our official CW Asset online payment. This customer is truly a person who has denigrated our brand with the sole motivation being to get a refund, because per his condo reservation form he agree and signed a statement that the deposit was non refundable. Yet we are making an exception and are processing his refund. His caviler attitude and disregard for the effect his behavior may have on 100’s of innocent people is shocking. After consulting our lawyer to make sure we were not breach any privacy issues I have attached a copy of our official CW Asset Paypal My Account overview with a customer’s credit card transaction that I am sure you will recognize. What this customer has given to you did not come from CW Asset, go to CW Asset or have anything to do with CW Asset. That should be evident now. I hope this is the end of this, we have all wasted too much time dealing with this person antics. We need to focus on continuing to build a quality brand that delivers affordable condominiums. Then the client sent me this. Thank you for the rather dramatic note and good luck with your Masters. I now have in my possession further paypal details. 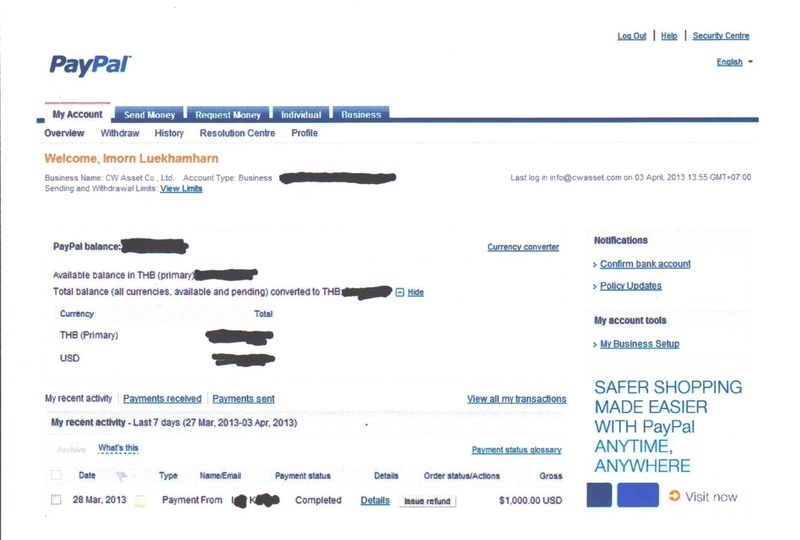 These details show the name Ian Silver and two emails – one of those is to Richie@cwasset and further notes the transaction will appear on his paypal bill as CW Asset. This might lead me to suspect that Richard Richie is Richard Ian Silver. You have presented no evidence that the customer in question has denigrated your brand. Nor is he being cavalier. To use caution in the foreign property market on the Eastern seaboard is a prerequisite. You will already be aware that there is information on the net that Richard Ian Silver, formerly of Royal View Talay, has re-invented himself and has been selling property in Bang Saray. So once again who is Ian Silver? PS: I hope your lawyer did not charge you for telling you you cannot be in breach of your own privacy. It would be a frightful waste. Ms Imorn seemed a little peeved. “Mr. Drummond, Thank you for your reply. This is a most serious matter, treating it as anything less is egregious. Problems for CW Asset Co. effect (sic) our customers that have purchased almost 200 Million Baht of condos in our developments. Who is Ian Silver? In an internet Google search for Ian Silver we found 90,500,000 entries so your guess is as good as ours as to who is Ian Silver. You have questions for Mr. Richie? You will have to contact him directly. Mr. Richie was not authorized to speak with journalist. Consequently his services to CW Asset have been terminated. Finally, our customers’ privacy is sacred. We wanted to be especially careful that no laws were breached in forwarding our customer payment details to a third party. Certainly not a frightful waste to be sure we are doing things legally. We have and will answer any questions to the best of our ability that you or anyone else may have. We have spent a considerable amount of time on this to the determent of our business. As for CW Asset, our staff, customers and investors there is nothing more that we can do but suffer at the hands of the media. So much hard work, good results and people’s lives down the drain. Now people’s lives are ‘going down the drain’ and Richie has allegedly lost his job for talking to me, but I still do not know why Ian Silver is turning up on a client’s PayPal acknowledgement. I am not interested in the 90.5 million entries for Ian Silver on the internet I am only interested in the Ian Silver on the CW Asset PayPal account. This latest letter from you particularly the following paragraph smacks of amateur dramatics. Why should your customers suffer? You have announced that your project Bang Saray Condo is almost finished and is almost sold out. Are they not going to get their condos? I am sad to hear that you have fired Mr. Richie for talking to the media. Could he not go to the Labour court after most of his responses were along the lines “I do not know what you are talking about”? Further I thought you both had a very close relationship. Still I have heard that the property business can be merciless. So once again why is Ian Silver on a CW Asset paypal account along with Richie? But a readers of this site have also been burning the midnight oil. By tracking down domain names one has found a common denominator linking abatalay.com, cw.assets, cwventure and a website call longvideos. There are others too including go2it.net which is where Mr. Silver has an email address. These sites were bought by someone using a ‘wild246’ gmail. Whose email is that? Mr. Ian Silver. Then another reader checked the Google analytics ID for cwasset.com UA-3564411 and found that bangsaraybeachcondo, cwoceanview, abatalaycondo, pattayainfo and imornluekhamharn are all being monitored from the same google account. Why the paranoia? Why are the customers in danger? The company has three projects at the moment Bang Saray Beach Condominium, due to be finished in two months they say, plus two off plan condos CW Ocean View Condo in Bang Saray and Abatalay Condo. The point is this. And all buyers should beware. If you are paying for property in Thailand do it through an honest lawyer. 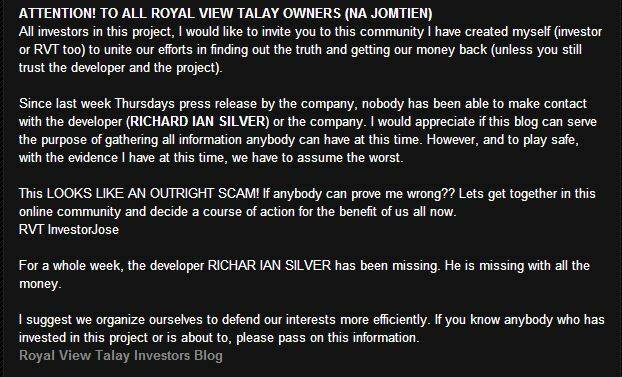 I am not saying the Ian Silver mentioned here is the Richard Ian Silver named in connection with Royal View Talay but I share the concerns of the complainant about his PayPal receipt. The client insists he has only made one payment. Can anyone explain the confusion here? Is there something staring me in the face that I am missing? Is someone speaking with a forked tongue? In general when dealing with foreign property dealers in Pattaya beware. It would appear that all some of them need for a work visa is cash! You can ignore almost everything many of them say unless you can see it in English on a contract and that contract is an accurate translation of the Thai contract. Many so called developers are not cashed up. They need your cash before they even lay the foundations. Watch out especially for sinking fund charges, and charges for utilities when you move in. Some developers are enjoying a fancy life style on these charges alone. And satisfy yourself that the developer has the cash to the finish the project if you are buying off plan. Here’s one good way of raising it. No Thai I know, including those educated in the UK & US, write like that. Very suspicious…. If that was written by a Thai, then this comment is being written by the pope! For a legitimate company they seem rather worried.I do feel sorry for people that caught in the property scams.why invest your hard earned money in a country where the laws are stacked against you and corruption is rife? I would like to retire there eventually but I have already told my partner that we will rent. Caveat emptor applies equally anywhere in the world but perhaps is that much more critical in Thailand where redress through civil law is practically non – existent and, ultimately, unenforceable. A rule of thumb for anyone considering buying off plan in Thailand is to consider the track record of the developer. If it is a public company quoted on the stock exchange and has completed projects around the country and the particular project is publicly underwritten by a bank then you will be as safe as you may be in the West.If not, and the project is speculative development riding on the coat tails of the current boom, then there will be an element of risk since financial backing will be limited. There are a host of sound projects completed by entrepreneurs in Pattaya, Bangkok and Hua Hin which offered good value for money. The thing is, why bother with buying off plan? The current market means that with very few exceptions most projects will be completed with many units still available. The early discount for off plan purchase compared to completed unit price is really quite negligible and certainly not worth the angst of worrying about whether the project will in fact be completed. So, just resist all that marketing hype that if you don't hurry you'll miss out etc. and bide your time. By 2014 – 2015 there will be over 5,000 units or so coming onto the Pattaya/Jomtien market alone, a significant proportion of which have yet to be purchased. The prospect of buyer inducements is very real and given economic forces those early purchase discounts will be matched. With hundreds of staff it is probably very difficult for Ms L to remember everyone by name, so I can understand the confusion. So just as a reminder, I. Silver is the person that registered you cwoceancondo.com domain name..
Ms. Imorn "Victoria" Luekhamharn, B.A., M.Ed. of 'the Luekhamharn Family' has a very thin social media footprint considering 'she' runs a multi-billion baht company. No Facebook? Any self respecting Thai female has a facebook page with 7000 photos of her graduation ceremony. Could 'she' also be Richard Ian Silver [I'm dying to call him call him 'Long John'] and 'Richard Ritchie' [Ritchie Rich -that's a good one too]. My favorite line from the scribblings of MS Imorn:"…..Certainly not a frightful waste to be sure.." Maybe she was brought up at Downton Abbbey. BTW, the word egregious is indeed a very big word for a thai lady to use. Never heard an English professor use it? This is a new company with no track record and no finished condos. They are selling Debenture shares and when you read between the lines theres no clause or safeguard guarantees to investors. If you take up their options @ a so called 45% profit from PROJECTED condos sold that haven’t even been sold you have to be dumb or crazy. This is absolute crap. If they don’t make it kiss goodbye to your investment. Anyone who buys off the plan are crazy & in this case just read their contracts, track history, no sakes talk as theres no witness signatures or comeback. However in the persons case of losing $1000 he/she is lucky—it could have been more and the company will repay? Ian made the mistake of using his name?? But it’s a warning to foreigners. A condo bubble has already started in Thailand as Thais raced to buy up condos off the plan near BTS & MTRs & now realize the rentals that they were told are in the air. Banks are also not lending to condo investors with little equity anymore as too many condos are empty but the inevitable can those who bought, meet their payments now. Yingluck by taking the tax off new cars saw 500,000 new cars in Bangkok & traffic jams everywhere worse than before so now these owners can’t meet their repayments. A spiral is happening slowly but the bubble will burst yet again & maybe then buy a condo. Bad experience with this company. Sales agent assured me that the unit I was purchasing was a seaview unit. I found out moments before giving then half a million baht that the unit didn't have a seaview. I asked nicely for my 30,000 baht returned because they didn't have what I wanted which was a seaview unit. Haven't heard from them since.